I’ve been keeping up with my photo taking, but not so much with the photo posting. Here are days 5-7. Enjoy! 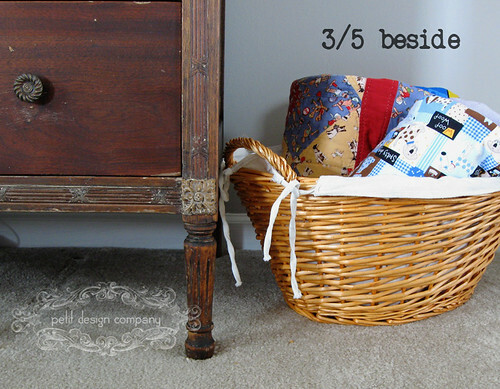 I always have a basket of quilt in the living room for the kids to cuddle with while watching TV or during Family Home Evening. Right now it gets to sit next to the newly acquired antique dresser. I finished stripping the dresser a few days before company was set to come to town. I moved it into place in the living room where it is serving as our TV stand. I didn’t seal it but I did give it 2 coats of hemp oil all over. I’m still debating whether to paint it or not. Up close you can really see the sign of wear, but over all I’m liking the not-perfect flaws of it. I don’t want to sound ungrateful because I really love my house, and I realize that we are very blessed to have such a wonderful home. However there are a few little things that I don’t like about it. 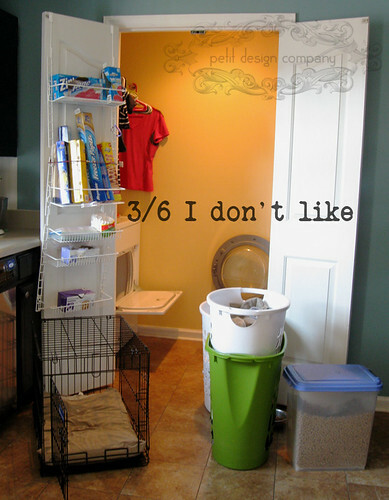 The main thing is that the laundry room is right off the kitchen and every time I have to do laundry I have to pull out my baskets, the dog food and the dog crate. Once we finish out the upstairs the laundry room will have a new home on the 2nd story and this lovely closet will become an awesome pantry. I currently have a deep cabinet that serves as the pantry. Any time I have to get something out I have to take out anything that happens to be in front of it. 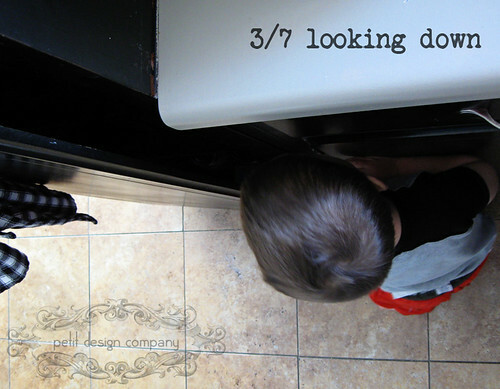 A walk in pantry would be great! What's with the tease? I want to see the WHOLE finished dresser!